Oppositional defiant disorder (ODD) is one of a group of behavioral disorders called disruptive behavior disorders (DBD). These disorders are called this because children who have these disorders tend to disrupt those around them. ODD is one of the more common mental health disorders found in children and adolescents. We define ODD as a pattern of disobedient, hostile, and defiant behavior directed toward authority figures. Children and adolescents with ODD often rebel, are stubborn, argue with adults, and refuse to obey. They have angry outbursts and have a hard time controlling their temper. 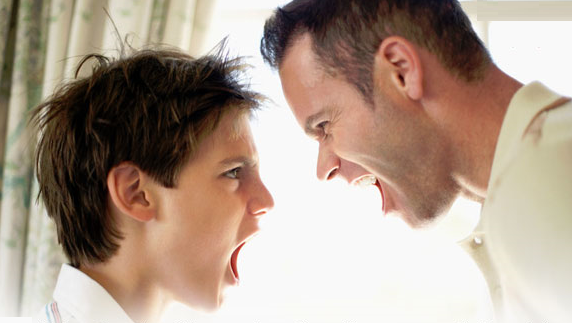 Even the best-behaved children can be uncooperative and hostile at times, particularly adolescents, but those with ODD show a constant pattern of angry and verbally aggressive behaviors, usually aimed at parents and other authority figures. This disorder is often accompanied by other serious mental health disorders, and, if left untreated, can develop into conduct disorder (CD), a more serious disruptive behavior disorder. Children with ODD who are not treated also are at an increased risk for substance abuse and delinquency. Some parents have trouble seeing defiant behaviors as a symptom of a mental disorder. They may want to wait to start treatment until the child matures to see if he or she will "grow out of it." Also, it is sometimes difficult to distinguish between ODD and normal, independence-seeking behavior that shows up during the "terrible twos" and early teen years. Treatment usually consists of a combination of therapies, including behavioral therapy, parent training, and family therapy. Some children may benefit from medication as well. With treatment, children and adolescents can overcome the behavioral symptoms of ODD. They can learn techniques to manage their anger and develop new ways of coping with stressful situations. Treatment also can help parents learn better ways to discipline and techniques to reward good behavior. With treatment, children and adolescents with ODD can overcome their difficult behaviors and lead happier, more fulfilling lives. There is a range of estimates for how many children and adolescents have ODD. Evidence suggests that between 1 and 16 percent of children and adolescents have ODD. However, there is not very much information on the prevalence of ODD in preschool children, and estimates cannot be made. ODD usually appears in late preschool or early school-aged children. In younger children, ODD is more common in boys than girls. However, in school-age children and adolescents the condition occurs about equally in boys and girls. Although the disorder seems to occur more often in lower socioeconomic groups, ODD affects families of all backgrounds. There is no clear-cut cause of ODD. However, most experts believe that a combination of biological, psychological, and social risk factors play a role in the development of the disorder. Most children argue with parents and defy authority from time to time, especially when they are tired, hungry, or upset. Some of the behaviors associated with ODD also can arise in children who are undergoing a transition, who are under stress, or who are in the midst of a crisis. This makes the behavioral symptoms of ODD sometimes difficult for parents to distinguish from stress-related behaviors. Typically, children with ODD do not engage in delinquent behavior. Also, children whose behavioral symptoms are specifically related to a mood disorder, such as depression or bipolar disorder, are usually not diagnosed with ODD. Recently, it has been discovered that girls may show the symptoms of ODD differently than boys. Girls with ODD may show their aggressiveness through words rather than actions and in other indirect ways. For example, girls with ODD are more apt to lie and to be uncooperative while boys are more likely to lose their temper and argue with adults. While there is no single test that can diagnose ODD, a mental health professional can determine whether a child or adolescent has the disorder by assessing the child's symptoms and behaviors and by using clinical experience to make a diagnosis. Many parents first call upon the child's primary care physician for an evaluation. This evaluation typically begins by compiling a medical history and performing a physical examination. During the evaluation, the child' s primary care clinician will look for physical or other mental health issues that may cause problems with behavior. 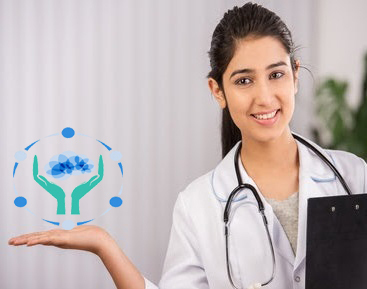 If the doctor cannot find a physical cause for the symptoms, he or she may refer the child to a child and adolescent psychiatrist or a mental health professional who is trained to diagnose and treat mental illnesses in children and adolescents. A child and adolescent psychiatrist or a qualified mental health professional usually diagnoses ODD. A mental health professional will gather information from parents, teachers, and daycare providers as well as from the child. Gathering information from as many people as possible will help the doctor determine how often the behaviors occur and where. It also will help the doctor determine how the behaviors affect the different areas of the child' s life. Answering these questions will help a mental health professional determine whether the child or adolescent has developed ODD or is responding to a short-lived, stressful situation. Assessment tools, such as rating scales and questionnaires, may help the child' s doctor measure the severity of the behaviors. These tools also may assist in establishing a diagnosis and tracking progress once treatment begins. In addition to establishing a primary diagnosis, the doctor will look for signs of other conditions that often occur along with ODD, such as ADHD, anxiety, and mood disorders. The doctor also should look for signs that the child has been involved in bullying�as either the victim or perpetrator. Involvement in bullying often is a sign that the child is at risk for aggression and violence. Like many mental health disorders, ODD is not always easy to accurately diagnose. Open communication among the mental health professional and the parents and child can help overcome the difficulties diagnosing this disorder. For example, some children see their behaviors as justified and are unmotivated to change. Also, some parents can become defensive when questioned about their parenting style. Having the parent and the child view the mental health professional as an ally can help. Establishing a good relationship with a mental health professional is important to determining whether the child' s behavior is a response to a short-lived situation or transition, ODD, or another serious behavioral condition, such as CD or a mood disorder. Can ODD Occur with Other Conditions? Research indicates that some children develop the behavioral symptoms of ODD as a way to manage anxiety or uncertainty. Anxiety disorders and mood disorders are similar to ODD in that they are often a response to uncertainty and an unstable home and school environment. These similarities make it more likely that ODD and anxiety disorder and a mood disorder (such as depression) will occur together. Among all conditions that coexist with ODD, ADHD is the most common. Both disorders share common symptoms of disruptive behaviors. However, children and adolescents who have both ODD and ADHD tend to be more aggressive, have more of the negative behavioral symptoms of ODD, and perform less well in school than those who have ODD alone. These children also tend to have more disruption in their families and with their relationships with authority figures than children who do not have ODD. Doctors have found that ODD can be a precursor to CD. CD is a more serious behavioral disorder that can result in destructive antisocial behavior. While ODD behaviors may start in early preschool years, CD usually appears when children are older. A child or adolescent who has ADHD as a coexisting condition also seems to be at increased risk of developing CD. In addition, studies show that having CD puts children and adolescents at risk of developing a mood disorder or antisocial personality disorder later in life. While having ODD and a coexisting condition puts a child at risk for developing other more serious mental health issues, treatments exist that can improve the symptoms of ADHD, anxiety disorders, mood disorders, and learning and language disorders. Also, treating other mental health and learning conditions that occur along with ODD has been shown to decrease the behavioral symptoms of ODD. There is research that shows that early-intervention and school-based programs along with individual therapy can help prevent ODD. Among preschoolers, the Head Start program has been shown to help children do well in school and prevent delinquency later in life. Head Start is a program of the United States Department of Health and Human Services (US-HHS) that provides education, health, and other services to low-income children and their families. Young children in this program learn social skills and how to resolve conflict and manage anger. A home visit to high-risk children also has been shown to help prevent ODD among preschoolers. Among adolescents, psychotherapy (talk therapy), social-skills training, vocational training, and help with academics can help reduce disruptive behavior. In addition, school-based programs can be effective in stopping bullying, reducing antisocial behavior, and improving peer relationships. Parent-management training programs have proven effective in preventing ODD among all age groups. These programs teach parents how to develop a nurturing and secure relationship with their child and how to set boundaries for unacceptable behavior.18 More information about parent-management training can be found on page nine of this guide. There is no one-size-fits-all treatment for children and adolescents with ODD. The most effective treatment plans are tailored to the needs and behavioral symptoms of each child. Treatment decisions are typically based on a number of different things, including the child' s age, the severity of the behaviors, and whether the child has a coexisting mental health condition. The goals and circumstances of the parents also are important when forming a treatment plan. In many cases, treatment may last several months or more and requires commitment and follow-through by parents as well as by others involved in the child' s care. * Parent-Management Training Programs and Family Therapy to teach parents and other family members how to manage the child's behavior. Parents, family members, and other caregivers are taught techniques in positive reinforcement and ways to discipline more effectively. * Social-Skills Programs and School-Based Programs to teach children and adolescents how to relate more positively to peers and ways to improve their school work.These therapies are most successful when they are conducted in a natural environment, such as at the school or in a social group. Medication may be necessary to help control some of the more distressing symptoms of ODD as well as the symptoms of coexisting conditions, such as ADHD, anxiety, and mood disorders. However, medication alone is not a treatment for ODD.